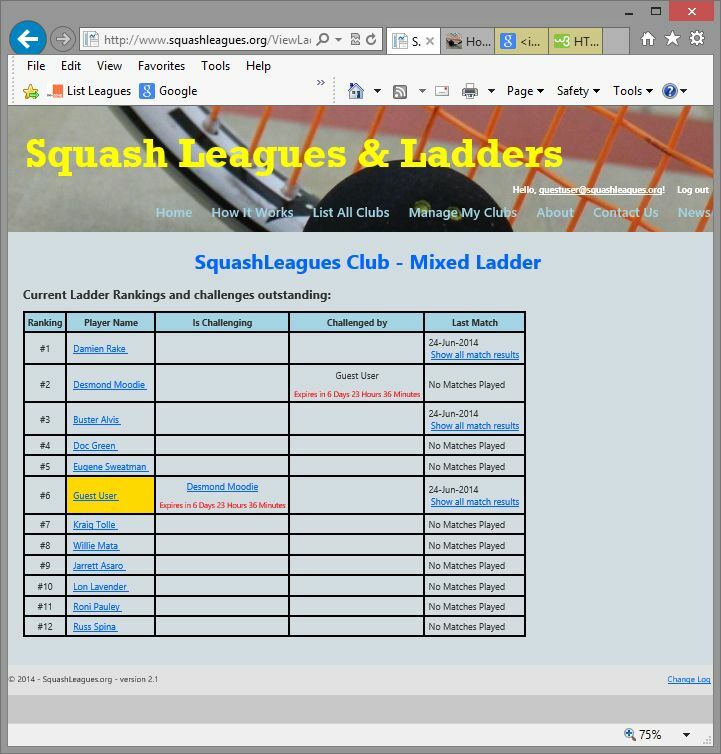 If you are looking for an online source to help you with online Squash Club League and Ladder Management and to run your own Squash Leagues and/or Squash Ladders, then be sure to try out our own SquashLeagues.org website. The site allows you to set up your own Squash Club, enrol members, run leagues, ladders and much more. Members can arrange their matches via the site. Club administrators can email members about upcoming events, etc. The site is very easy to use – and best of all it’s 100% free for the club, the administrators and the members. Is there a “Step-by-Step” guide? Yes there is – two in fact! 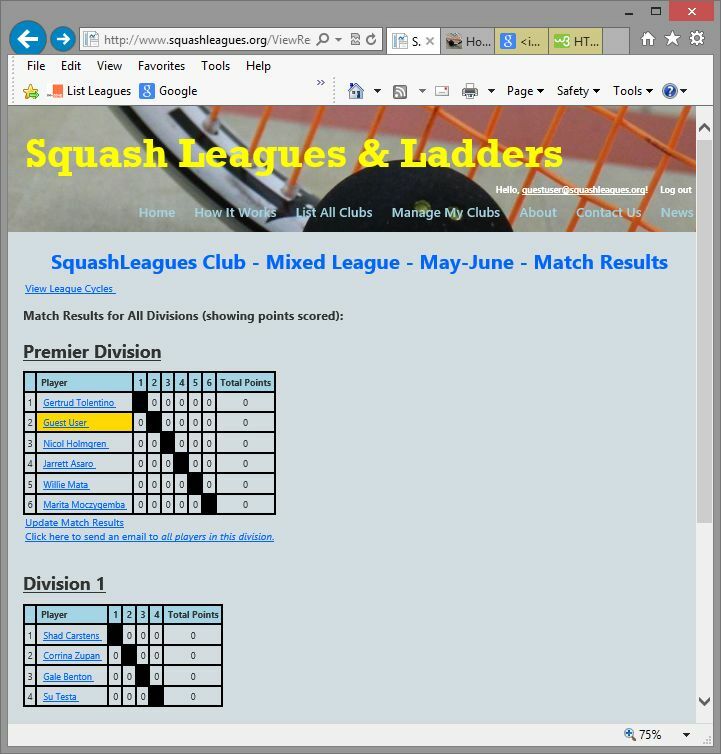 If you want to set up a Squash League, you can view and/or print off a “step-by-step” guide for Squash Leagues containing information enabling you to set up and run your own club’s league or leagues, with multiple divisions in each league, each with its own league cycles and possibly using different rules for promoting/relegating players. View the step-by-step guide for leagues. If you are more interested in establishing a Squash Ladder, then refer to the “step-by-step” guide to running Squash Ladder for setting up and running your own club’s Squash Ladder. The site allows you to establish as many ladders as you wish and you can customise the rules for each ladder separately. View the step-by-step guide for Squash Ladders.